HOUSTON (Reuters) - The recent nosedive in crude prices came just as shale producers had started delivering healthy returns after years of heavy spending to boost production and market share. The shift has pleased investors who had grown weary of waiting for a payoff while watching the frenetic west Texas shale boom make the United States the world's top oil producer and a major exporter. The 29 percent drop in U.S. oil prices since October now threatens those improved margins, and sustained prices below $50 could dent the value of shale reserves, which banks use to determine borrowing power. Activity in the largest U.S. oil field could fall 10 to 20 percent next year if prices stay down, said Steven Pruett, chief executive of shale producer Elevation Resources LLC. The price retreat sparked a sell-off of shale firms' shares and another setback could sour investors on the sector for years. The dynamic leaves shale producers hoping for a rescue in the form of production cuts from The Organization of the Petroleum Exporting Countries (OPEC) when it meets on Thursday - and at odds with U.S. President Donald Trump, who has pushed OPEC to keep the taps wide open. Although Trump has generally been a boisterous booster of fossil-fuel firms, he has ridiculed the prospect of OPEC production cuts as "ripping off the rest of the world" by artifically inflating consumer fuel prices. In November, Trump praised Saudi Arabia on Twitter for high production that helped push oil prices down about 30 percent to near $50, calling it "like a big Tax Cut." Such tweets are an "irritant" to a U.S. oil industry trying to solidify its profitable position. Trump's "leaning on" Saudi Arabia, the most influential OPEC nation, "has had a great effect," Pruett said. "To me, it's a lot of meddling," he said. Trump's campaign against OPEC cuts comes after he stood by the kingdom and Saudi Crown Prince Mohammed bin Salman despite U.S. politicians calling for sanctions over the October killing of journalist Jamal Khashoggi at Riyadh's consulate in Istanbul. Prince Salman wants to avoid confrontation with Trump, Saudi watchers say, including over oil production cuts and prices. While shale producers have made strides in recent years at turning profits with lower oil prices, they are nearing a threshold where some would scale back investment, said Phil Flynn, an analyst at Price Futures Group in Chicago. "The reality is a lot of them get scared at $50, and their bankers get scared at $50," said Flynn. "They want OPEC to make a cut, and they kind of want Donald Trump to stop tweeting about oil." U.S. oil production will rise 17 percent this year to average daily output of 10.9 million barrels per day (bpd), and hit 12.06 million bpd by mid 2019, according to U.S. government estimates. After years of increasing capital spending, companies including Anadarko Petroleum Corp plan to freeze or cut those budgets, passing the savings to investors. Even if OPEC pulls back and global prices stabilize at current levels, it may not be enough for shale to regain investor favor, said Bruce Campbell, president of advisers Campbell, Lee & Ross Investment Management Inc. The firm owns Royal Dutch Shell shares because of its strong dividend and balance sheet, but no longer sees a reason to invest in shale. Shale companies can cut costs further, "but it takes 12 to 18 months to roll through the system" and get profits rising again, he said. Without higher crude prices, it will be tough for investors "to find a place to get excited about," Campbell said. Since the 2014-2016 price war between OPEC and shale producers - when soaring global supply pushed per-barrel prices down into the $20s - west Texas shale drillers have learned to wring profits at prices as low as $38 a barrel, down from about $71 in 2014, according to consultancy Rystad Energy. But breakeven prices in other U.S. fields range from about $43 to $48 per barrel, not far from November's low. Meanwhile, Middle East producers' costs are about $11 a barrel in Iraq, less than $17 in Saudi Arabia, and less than $21 in Kuwait, according to Rystad. These countries, however, need much higher prices to finance their state spending. In Saudi Arabia, crude would have to average $85-87 a barrel to cover this year's state budget, an International Monetary Fund official said. The U.S. industry is still expanding the use of more efficient drilling techniques, and oil majors' BP Plc, Chevron Corp, and Exxon Mobil Corp are expanding shale operations and building pipeline infrastructure to keep production rising. 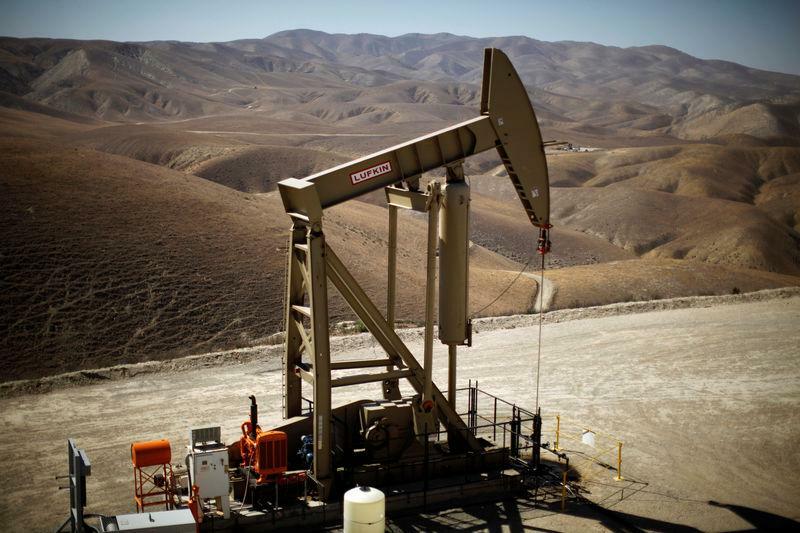 “Shale is a scale business,” said Shawn Reynolds, a portfolio manager at investment firm VanEck. He sees an industry just now poised to move out of its costly development phase and into what Reynolds calls "harvest mode," pulling profit from past investments. But a continued price decline would threaten recent robust earnings. Last quarter, ConocoPhillips profit rose four-fold over a year earlier aided by cost cuts that "significantly improved our resilience to low prices," Chief Executive Ryan Lance said during an earnings call last month. Anadarko swung to a profit and said it expects to increase production 10 percent to 14 percent next year, assuming "$50 oil,” said CEO Al Walker. Other producers are counting on a replay of 2016, when OPEC cut output and prices gradually increased. "I've been through it before," Bob Watson, CEO of Texas shale producer Abraxas Petroleum Corp, said in an interview. He has told his employees not to worry about the price: "It will come back. You just need to keep executing." Watson, like other large shale companies, used financial derivatives to lock in some of its future production at $56 a barrel, a move that lets it ride out the recent drop barring a sustained change. Non-OPEC oil output will rise by 2.3 million bpd this year while oil demand should grow by a 1.3 million bpd next year, projects the International Energy Agency, which advises major oil consumers on energy policy. That could lead again to a market awash in oil, lowering global prices. OPEC this week must decide whether the global economy will need more oil or less. After months of producing well below the group's target, group leaders increased production last summer and by October had added nearly 400,000 barrels per day over September. Russia also increased its production by about 460,000 bpd above its cap. "OPEC realizes that in the last downturn, in an effort to grab market share, they got nowhere. They ended up losing market share to some extent," said Muqsit Ashraf, senior managing director for energy at consultancy Accenture Strategy. One lesson from the last price war is shale can expand production even at prices that hurt OPEC members' budgets, said Karr Ingham, a Texas oil and gas economist. Companies in the Permian Basin pumped 1.6 million bpd in June 2014 when prices peaked at $107 and output rose to nearly 2 million bpd two years later as prices fell to $26, according to data from the U.S. Energy Information Administration. "OPEC can wait from now until kingdom come, but they won't get … a production decline" from the Permian field, Ingham said.